At Your Trusted Home Buyer, we specialize in helping homeowners just like you who have an unwanted property. We will buy your Tampa House no matter what situation you’re in or how quickly you need to sell. From foreclosure to probate to divorce to bad tenants… no matter what you are dealing with, we can help! You no longer have to worry about excessive expenses or losing your property to the bank! If you don’t want to own your property anymore, and if you don’t want to go through the hassle of selling through an agent and paying all that money while you wait for a buyer, there’s another option: selling your Tampa house directly! Sometimes owning a house in Tampa can be difficult. From bad tenants to repairs, to owning a house that is too large… being stuck with an unwanted house can be quite the burden both financially and mentally! We’d like to help. We are professional house buyers looking to buy houses in the Tampa area. We specialize in helping homeowners who feel stuck with an unwanted property. We’ll buy no matter what your situation is (foreclosure, divorce, inherited house, downsizing) you name it, and we can help! We’ll buy no matter what the condition of the house (expensive repairs, vacant, fire damaged, even uninhabitable). You’re probably familiar with the “traditional way” to sell your house which would be to sell through an agent. Maybe you’ve even talked to an agent to see if they can help you. Or have tried to sell your house this way in the past To be blunt: it isn’t the right way to sell for every house. Agents can provide a great service for people who don’t mind waiting around for a payer and paying extra at the closing table. Listing your Tampa house will also cost you up front. You’ll have to pay out-of-pocket to fix up your house before the agent will list it. Then you’ll have to wait months (usually 3-6 months) while an agent tries to find a buyer. IF they can find a buyer and IF you and the buyer agree on a price and IF the buyer can get financing… then you’ll have to pay the agent thousands of dollars in commissions. There’s nothing wrong with selling your house the traditional way… but it’s not always the best choice for all properties. Thankfully, there’s another way to sell your house in Tampa. Before you list with an agent, discover the power, flexibility, and ease of selling your house directly. We’re not agents and we don’t want to list your house. We’re actually buyers with the funds available to buy your house ourselves. We’ll buy in any condition and situation, we buy quickly, and there are NO commissions or fees to pay when you sell to us. We can close fast or on any day that works for you. Fill out the form below so we can make you an offer today! Need To Sell Your Tampa House Fast? Are you looking to sell your house fast in Tampa? We buy houses Tampa! We buy houses in Tampa and all surrounding areas in FL. If you need to sell your house fast in FL, connect with us today! We’d love to make you a fair no-obligation no-hassle offer. Learn more about what we can do for you! Tampa is a major city in, and the county seat of, Hillsborough County, Florida, United States. It is on the west coast of Florida on Tampa Bay, near the Gulf of Mexico, and is the largest city in the Tampa Bay Area. The city had a population of 335,709 at the 2010 census and an estimated population of 377,165 in 2016. In 1824, the United States Army established a frontier outpost called Fort Brooke at the mouth of the Hillsborough River, near the site of today’s Tampa Convention Center downtown. The first civilian residents were pioneer ranchers and farmers who settled near the fort for protection from the nearby Seminole population. The town grew slowly and had become a minor shipping port for cattle and citrus by the time of the United States Civil War. Tampa Bay was blockaded by the United States Navy during the war, and Tampa fell into a long period of economic stagnation that continued long after the war ended. The situation finally improved in the 1880s, when the first railroad links, the discovery of phosphate, and the arrival of the cigar industry jump-started its development, helping Tampa to grow from an isolated village with less than 800 residents in 1880 to a bustling city of over 30,000 by the early 1900s. Today, Tampa is part of the metropolitan area most commonly referred to as the “Tampa Bay Area”. For U.S. Census purposes, Tampa is part of the Tampa-St. Petersburg-Clearwater, Florida Metropolitan Statistical Area. The four-county area is composed of roughly 2.9 million residents, making it the second largest metropolitan statistical area (MSA) in the state, and the fourth largest in the Southeastern United States, behind Miami, Washington, D.C., and Atlanta. 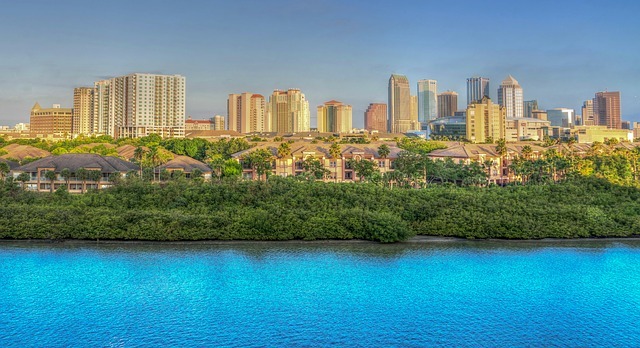 The Greater Tampa Bay area has over 4 million residents and generally includes the Tampa and Sarasota metro areas. The Tampa Bay Partnership and U.S. Census data showed an average annual growth of 2.47 percent or a gain of approximately 97,000 residents per year. Between 2000 and 2006, the Greater Tampa Bay Market experienced a combined growth rate of 14.8 percent, growing from 3.4 million to 3.9 million and hitting the 4 million population mark on April 1, 2007. A 2012 estimate shows the Tampa Bay area population to have 4,310,524 people and a 2017 projection of 4,536,854 people. Check us out on The BBB and on Facebook to see our reviews!